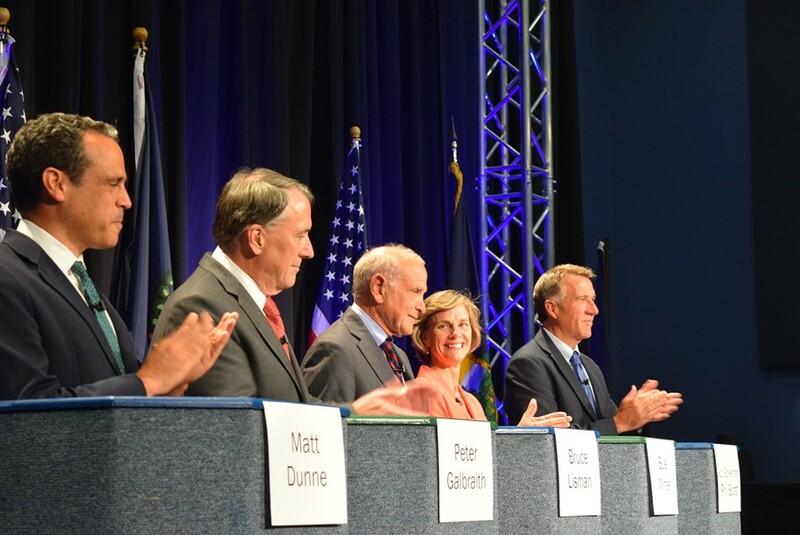 Five gubernatorial candidates appeared at a forum last month in Burlington. From left-right: Matt Dunne, Peter Galbraith, Bruce Lisman, Sue Minter and Phil Scott. Updated July 18, 2016 at 8:30 a.m. with information from the campaign finance reports of candidates Kesha Ram and H. Brooke Paige. Republican gubernatorial candidate Bruce Lisman has sunk $1.6 million of his own money into his campaign, providing nearly all of its funding, according to a campaign finance report filed Friday. Lisman, 69, of Shelburne, a retired Wall Street executive, has raised $286,561 from other contributors, he reported. He has spent nearly all of the money, racking up $1,660,564 in expenses, leaving his campaign account with $189,493, the report shows. Lisman has been running television ads regularly since early spring. An underdog in the Republican primary, Lisman has far outspent his opponent, Lt. Gov. 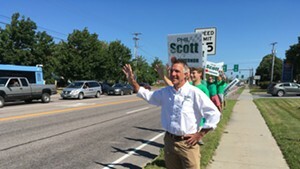 Phil Scott. Scott, 57, of Berlin, co-owner of a contracting business and lieutenant governor for the last six years, reported raising $859,046 and spending $466,778, leaving him with $370,103. 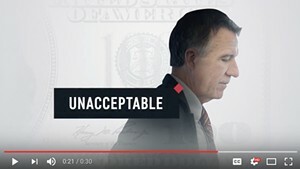 Scott has yet to air any television ads. Scott reported contributing $975 of his own money to his campaign. Democratic candidate Sue Minter pulled ahead of her primary rivals in campaign funds raised, reporting $893,009. She raised $405,452 of that since March. Minter, 55, of Waterbury, a former state transportation secretary and state representative, reported spending $596,102. She reported contributing none of her own money to the campaign. Democratic gubernatorial candidate Peter Galbraith reported a significant amount of self-funding. Galbraith, 65, of Townshend, a former diplomat and state senator, has contributed $199,793 of his own money. Including that, his campaign reported $328,391 in contributions; it spent $287,111. Democratic candidate Matt Dunne reported raising $819,625 and spending $611,441. Dunne, 46, of Hartland, a former Google manager and state senator, has spent $4,000 of his own money.